1. Accessories (i.e. jewelry, scarves, purses) and home decor items are okay to buy. I'm not normally inclined to buy these that often anyway, so I figured I'd give myself a little wiggle room. Plus, I'd go completely nuts if I went 100 percent cold turkey! 2. Any gifted items I receive don't count as purchases. 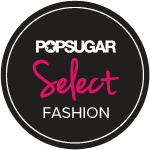 As a blogger, I do occasionally receive clothes/shoes/accessories for free so I can share that particular brand with you here on the blog. I will still be accepting these items. 3. Anything I ordered/bought prior to today is fair game. For example, this blouse, which was ordered on Monday. So that's it. Between now and Easter, I will not be purchasing any new clothing or shoes. I'm definitely nervous and know I will be tempted (umm, hi, I write a post called Tuesday Temptations), but I'm honestly looking forward to the challenge. Plus, it's a great chance to re-familiarize myself with what's already in my closet and find fun ways to wear what I already have. There's also a major closet purge in the works. I plan on listing some of my newer pieces on Poshmark and donating everything else to charity. There's also that whole saving money thing. That's always nice. I hope you'll follow along on my journey, as I'll be sure to provide regular updates! I might also need someone to smack my hand away if I'm hovering anywhere near the "Purchase" button...so stay alert! P.S. Today is the last day to enter my giveaway! Don't miss out on your chance to win a print by Brittany Fuson. The winner will be announced tomorrow! Best of luck! Not sure I could ever do this HAHA! Good luck! I thought about doing it, too. But then, I'm already on such a strict budget that it would almost be cheating. This year, I'm giving up sugar. Of course, there's already an exception since I'm making my husband a super pb/chocolate cake. I'll have to test the icing! I am giving up buying new shoes and clothes too! I already feel the pain and it is day 1! I am so happy I went to H&M last night to snag a few items, hopefully those wonderful purchases last me the next long 40 days! bah, good luck. 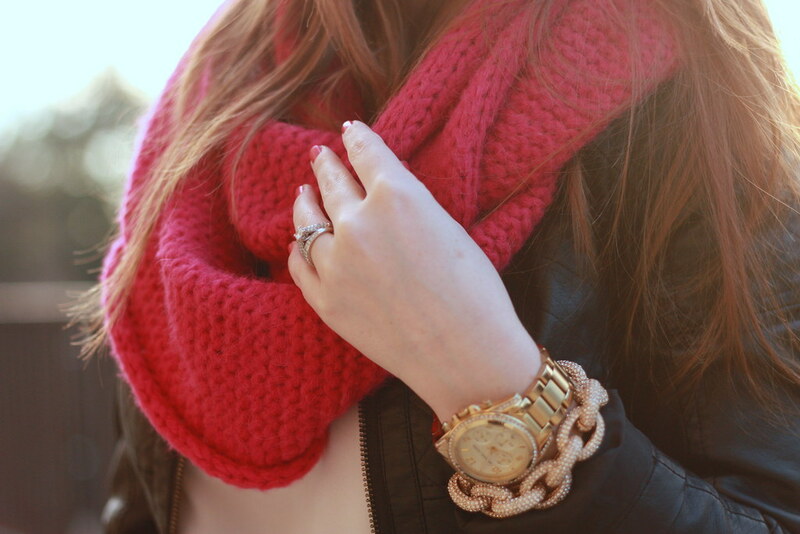 Love that chunky red knit! You are a better women than I! Good luck!! Is it totally crazy that I was going to do this too! I haven't decided yet and I have a backup (junkfood) but I totally say more power to ya if it works! This is a great idea! Especially because a lot of people (me!) are trying to save money, and it is always nice to revisit items that are hiding in your closet, and not just to focus on seasonal & fast fashion trends. I am giving up shopping for lent too, except no accessories aloud! I think I am going to need a support group to get me through these 40 days! You can do it girl! I cut back in shopping and now I create outfits with just what I have. Who knew you can come up with so many looks! wish you luck! I so need to do this with you! Okay.. I'm going to try.. try really really hard! WOW, that's commitment right there! Best of luck my dear! You are so brave! Good luck girl! Wishing you the best! Best of luck to you! I've been thinking about selling stuff on Poshmark too. Have you had much success with it? Good luck. That would be tough for me!! I gave up shopping for Lent last year, and I'm giving it up again this year. The first three days were the hardest, but it gets easier. I just wrote a list of things that I wanted. If it was there fine, if not, then it just wasn't met for me to have. After Lent, it has definitely made me a lot more thoughtful about things that I do purchase. I have a better closet for it and sold some things that I didn't use that were cluttering up my space. But, I will say that I had to buy a new watch as the two that I have went kaput even with brand new batteries. But, it was on super sale at TJ Maxx. Unless I have something special to go to or something like my watch situation happens, no purchases.